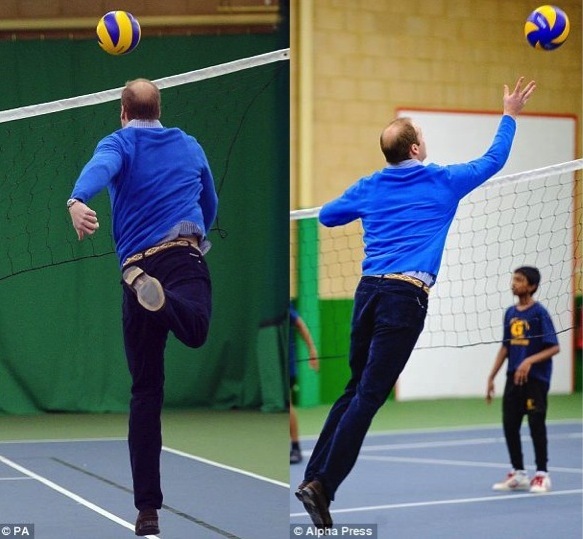 Prince William’s Turn to Show Off Some Volleyball Skills! 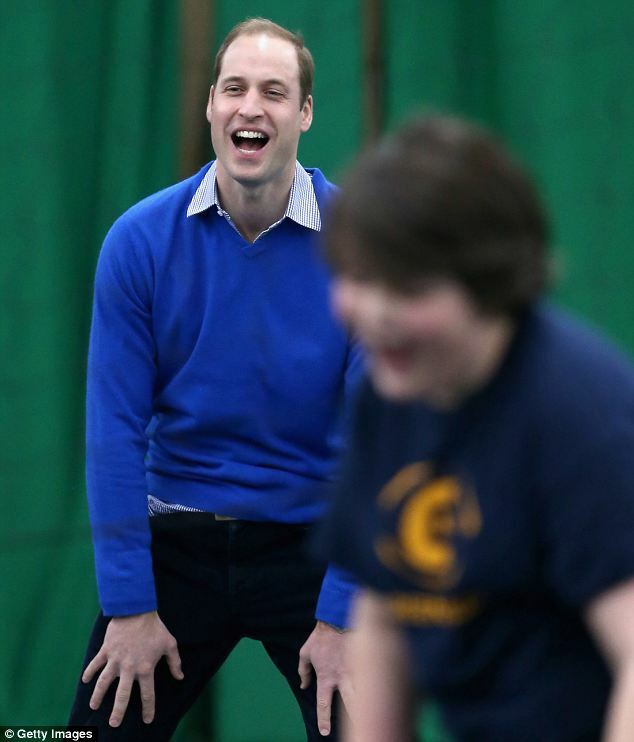 Prince William participated in a volleyball game at the Westway Sports Centre in north Kensington today while visiting young aspiring coaches. The second in line to the throne looked a little out of place with one 13-year-old saying that he “felt sorry” for the Prince because he was unable to return balls. 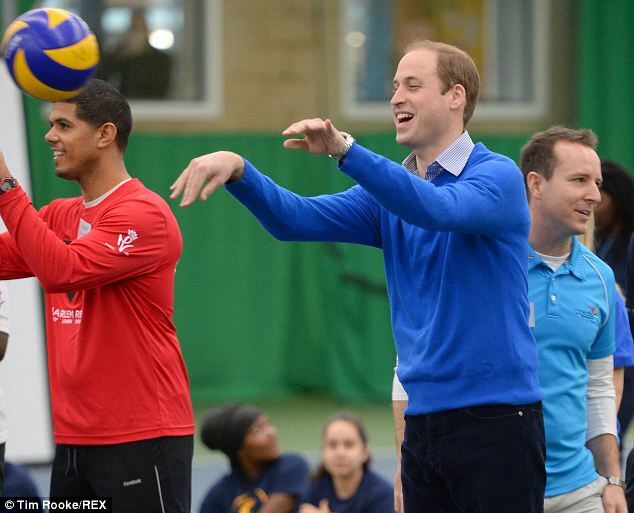 His wife, the Duchess of Cambridge, appeared more at ease with her volleyball skills even though she was wearing tall wedges!